Quite often when I hear Protestants recite the Lord's prayer, they include a doxology on the end "For the kingdom the power and he glory are yours, now and forever". I can't find this doxology in the Lord's prayer as recorded in scripture, so I find it amusing that protestants include it considering they are so insistent on doing things in accordance with scripture. The reason I'm bothering to ask the question is because today I attended my first "New Testament Greek" class and we had to translate the Lord's prayer from the Greek. The Greek version that our lecturer presented did indeed include the doxology and I was a bit confused by that. So my question in summary: what is the history behind this doxology? Where does it come from? The ascription at the close of the Lord’s Prayer occurs in several forms. In K L W Δ Θ Π f 13 al it is the familiar triple strophic form, whereas the Sahidic and Fayyumic (like the form quoted in the Didache) lack ἡ βασιλεία καί, the Curetonian Syriac lacks ἡ δύναμις καί, and the Old Latin k reads simply “for thine is the power for ever and ever.” Some Greek manuscripts expand “for ever” into “for ever and ever,” and most of them add “amen.” Several late manuscripts (157 225 418) append a trinitarian ascription, “for thine is the kingdom and the power and the glory of the Father and of the Son and of the Holy Spirit for ever. Amen.” The same expansion occurs also at the close of the Lord’s Prayer in the liturgy that is traditionally ascribed to St. John Chrysostom. Since the phrase is omitted in the modern Critical Text of the Greek New Testament, many modern translations (e.g. NIV) omit the phrase as well. The RSV footnotes, "Other authorities, some ancient, add, in some form, For thine is the kingdom and the power and the glory, forever. Amen." The phrase is included in the 1904 Patriarchal Text of Constantinople, which is an "official" version of sorts for the Greek Orthodox Church and Greek-speaking Orthodox jurisdictions and is very close to the so-called "Majority Text". The Patriarchal Text is based on copies of copies of copies of manuscripts that have been passed down over the centuries in various Orthodox monasteries (the Orthodox Church is not very fanatical about "autographs"). So we have kind of a weird situation in that the Greek-speaking churches mentioned in the New Testament that continue to exist today use a Biblical text that is considered less than authentic by non-Greek Bible scholars in the New World. As Metzger implies, it is also found in the Liturgy of John Chrysostom. In the Eastern Orthodox tradition, the final doxology is usually spoken by the priest after the reader has completed the Lord's Prayer. We (Orthodox) do not normally say the doxology in our private prayers. In the early Church, the Christians living in the eastern half of the Roman Empire added the doxology "for thine..." to the Gospel text of the Our Father when reciting the prayer at Mass. Evidence of this practice is also found in the "Didache" (Teaching of the Twelve Apostles), a first century manual of morals, worship and doctrine of the Church. Also, when copying the Scriptures, Greek scribes sometimes appended the doxology onto the original Gospel text of the Our Father, however, most texts today would omit this inclusion, relegate it to a footnote, or note that it was a later addition to the Gospel. during the reign of Elizabeth I and a resurgence to rid the Church of England from any Catholic vestiges, the Lord's Prayer was changed to include the doxology. From then on, the doxology was in. God save the queen! Not the answer you're looking for? Browse other questions tagged protestantism origin greek lords-prayer or ask your own question. Did Protestants get “Thine is the Kingdom etc…” from the Didache? What biblical reasons are there for using the Lord's Prayer as a pattern for prayer rather than a prayer to repeat verbatim? Why do some traditions recite the Lord's Prayer word for word? What is the origin of the doctrine of perspicuity? Why does the Lord's Prayer instruct us to ask God to forgive us “as we forgive others”? In the Lord's Prayer, to what does “daily bread” refer? When did the early church begin reciting the Lord's Prayer in corporate worship? 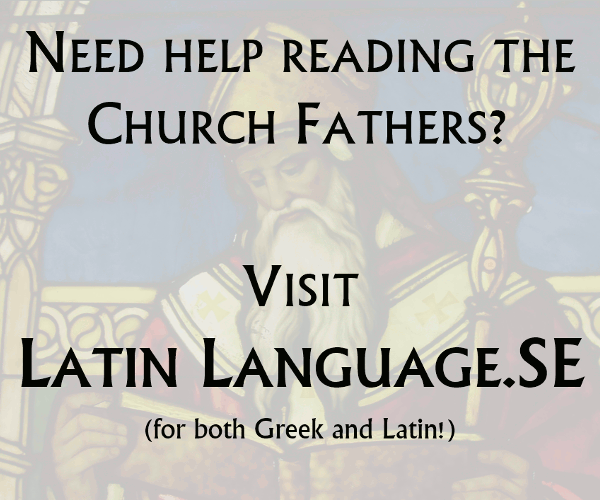 How close is the English word “father” compared to the original word used by Jesus in the Lord's Prayer?